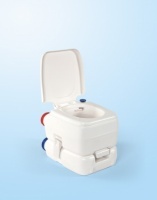 Portable toilets are great for camping, caravans, trailer tents & camping tents. 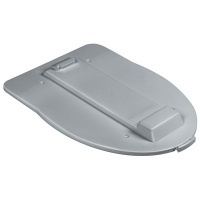 Also an ideal solution for those with smaller a motorhome, campervan or a vehicle where you do not have access to drainage and water systems. 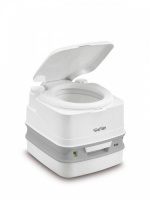 Highly convenient and mobile, portable toilets offer the same comfort and convenience of a normal domestic toilet and with a fresh water flush too. 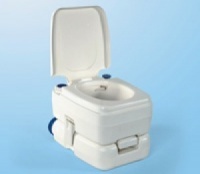 Portable toilets are hygenic and as they require no plumbing they can be placed where you need them. 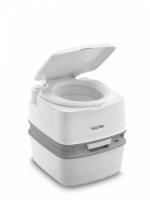 We stock a wide range of portable camping toilets such as the Thetford Qube range, Fiamma Bi-Pot range and the Dometic range.